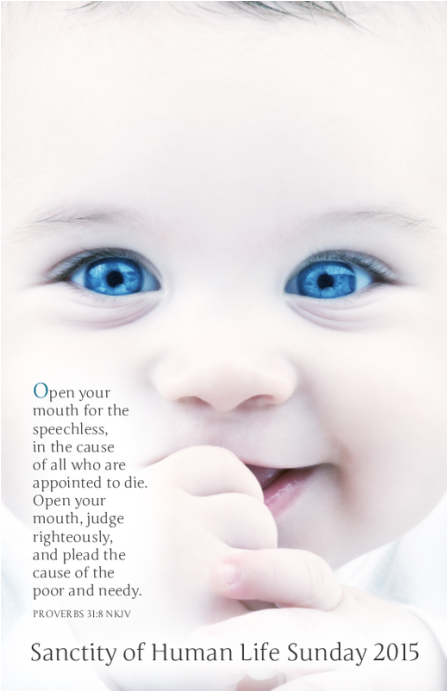 This powerful bulletin insert for Sanctity of Human Life Sunday is available free to churches for use on Sanctity of Human Life Sunday, which may be observed on January 18 or 25..
Sanctity of Human Life Sunday is an annual observance that focuses attention on the injustice of abortion. It highlights the gruesome reality of abortion in our nation and seeks to call Christians to prayer and compassionate action on behalf of unborn children and their parents.This year's insert highlights the impact caring individuals can have through 40 Days for Life, a campaign of prayer and fasting, peaceful vigil, and community action to end abortion. To requ﻿est the ﻿insert, in quantities, please call or email Broward Right to Life at (954) 563-LIFE (5433) or mail@browardrighttolife.org. Download, print and display this 8.5 x 11 or this 11 x 17 Sanctity of Human Life Sunday poster. You can join others on Thursday, January 22, at noon as we remember the more than 57 million unborn children lost to abortion since 1973. Our rally outside the U.S. Federal Building in downtown Fort Lauderdale takes place on the 42nd anniversary of the Supreme Court's Roe v. Wade decision. 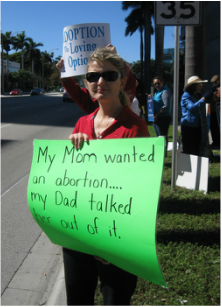 That ruling authorized abortion on demand throughout pregnancy in all 50 states. Signs will be provided and spe﻿cial speakers include Tewannah Aman, executive director of Broward Right to Life, and Rick Thompson, pastor of Living ﻿Water Community Church. Today, as a result of Roe and its companion case, Doe v. Bolton, America is one of four nations worldwide that allow abortion for any reason after "viability"--when the infant is able to survive outside the womb (around 24 weeks)..